At the launch of the book at The Bank of Cyprus Cultural Foundation*, Nicosia. 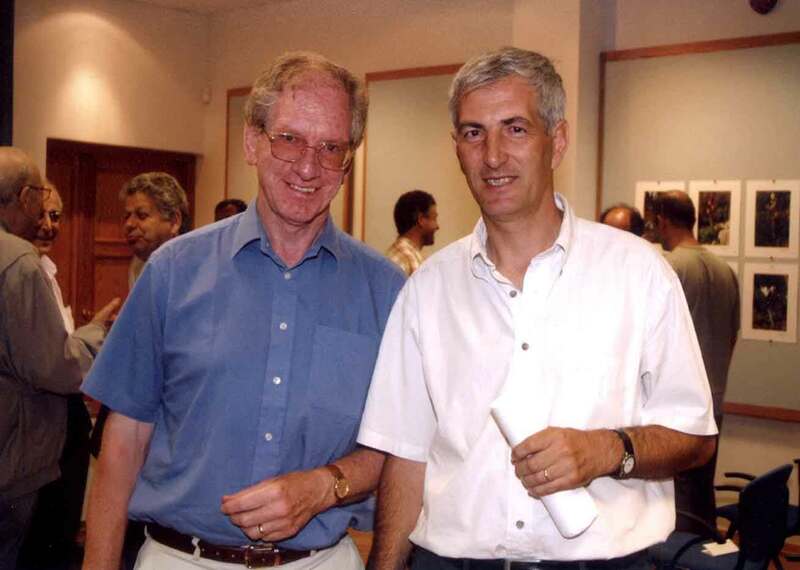 May 2003: Eddie John (L) and Christodoulos Makris (R). 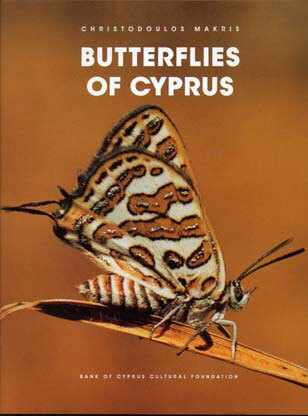 * Sponsors and publishers of �Butterflies of Cyprus�. by Christodoulos Makris, published in 2003. 5 x 5 km squares should now be available from CTO Offices. 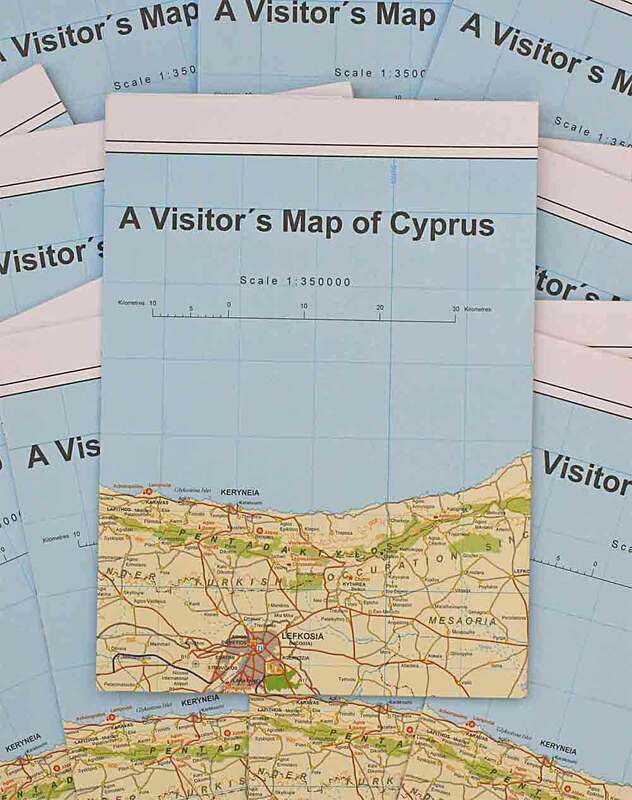 I have received my FREE copy via the CTO, London office, so I can confirm this map should be available. The map does not show grid lines as clearly as I had hoped, but I can email a PDF version of a computer-prepared map which will help with further annotation of the CTO map if required. PLEASE NOTE THAT THE NEW CTO MAP MAY BE IDENTIFIED BY THE WORDING: �REVISED MAY 2007 AND: PRINTED BY .... 09 2008�. John, E., Stefanescu, C., Honey, M. R., Crawford, M. & Taylor, D. 2015. Ceremonial releases of Danaus plexippus (Linnaeus, 1758) (Lepidoptera: Nymphalidae, Danainae) in the Iberian Peninsula, the Balearic Islands and Cyprus: implications for biogeography, potential for colonisation and a provisional listing of Asclepiadoideae from these regions. Entomologist�s Gazette 66: 141�156. John, E., Sparrow, D. J. & Sparrow, R. 2015. 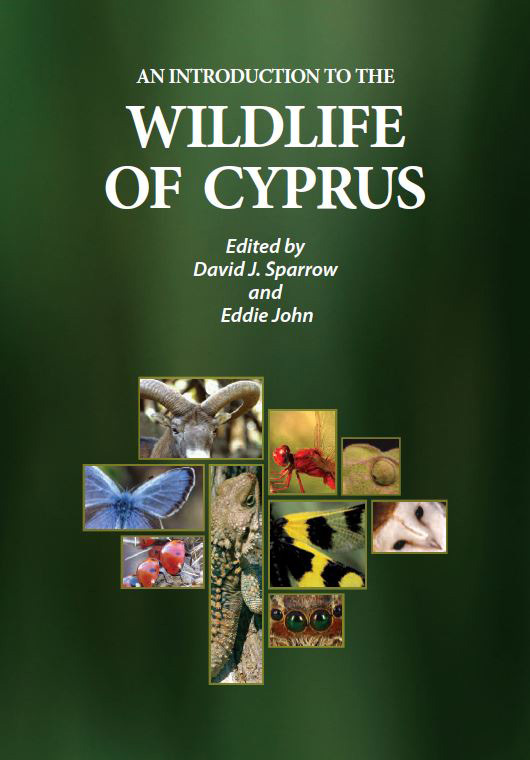 Migration of Lepidoptera In the vicinity of Cyprus, eastern Mediterranean, in April 2014. Entomologist's Gazette 66: 255-262. John, E., Wiemers, M., Makris, C. & Russell, P. 2013. The Pontia edusa (Fabricius, 1777) / Pontia daplidice (Linnaeus, 1758) complex: confirmation of the presence of Pontia daplidice (Lepidoptera: Pieridae) in Cyprus, and of Cleome iberica DC. as a new host-plant for this species in the Levant. 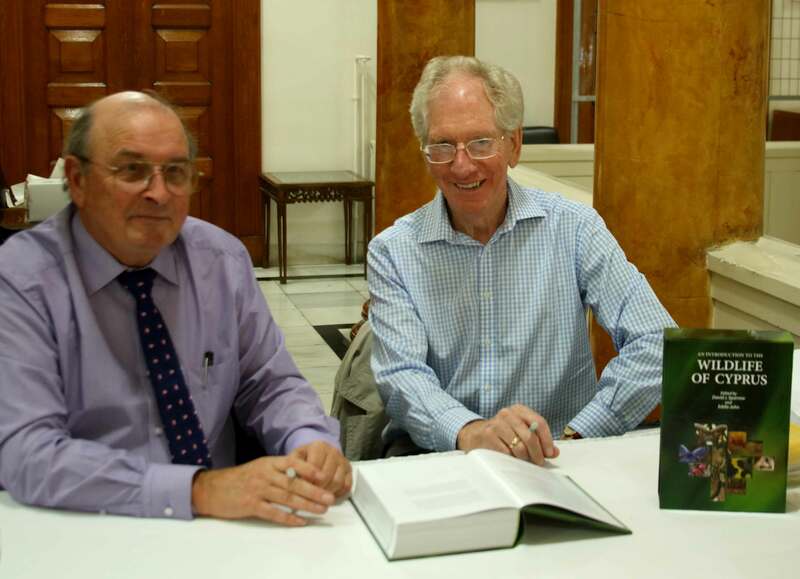 Entomologist�s Gazette in press. John, E., Makris, C. & Christofides, Y. 2013. Cleome iberica DC. : a new host-plant for Pontia chloridice (H�bner, ) (Lepidoptera: Pieridae) in the Levant and its influence on the butterfly�s phenology in Cyprus. Entomologist's Gazette 64: 19-26. This is a very detailed (1:150,000) map showing both UTM and Lat/Long grids. It is a little cumbersome in use (three horizontal folds and with the island split vertically just east of Larnaka), but the presence of UTM grids far outweighs these disadvantages. The map is highly recommended and is available from AMAZON.